Platform is a showcase of the best new work from graduates of Sussex Coast College, Hastings, and the University of Brighton. It includes photography, sculpture, moving image and painting by five young artists: Tasneem Arif, Godith Hawkins, Katie Needham, Oscar Yasamee, and Maddalena Zadra. 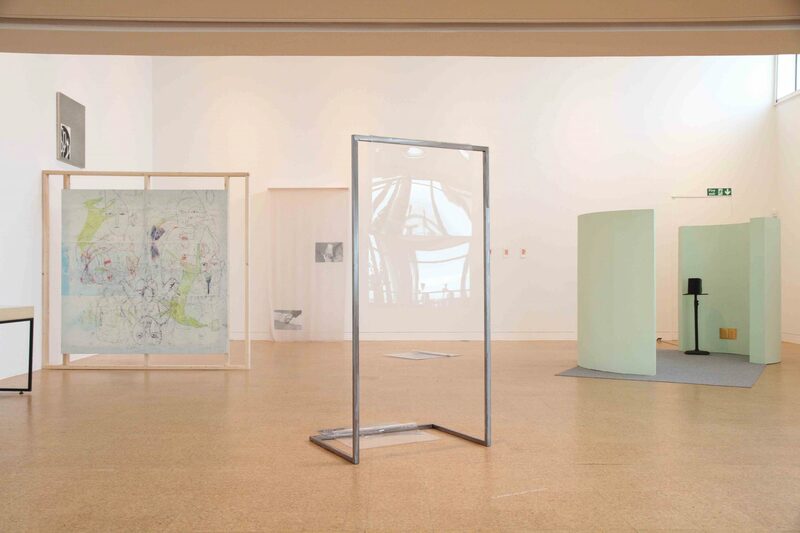 The exhibition is curated by Flatland Projects, a new artist-led gallery based within The Source Park in a Victorian former bathhouse and swimming pool in Hastings. Flatland is co-founded by Ben Urban and Billy Stanley. Tasneem Arif’s simple frame of metal and plastic sheeting addresses the space between and within linear form. Through opaque reference to post-mortem imagery, Godith Hawkins’ photographs reveal the uncanny vulnerability of the reclining or fallen body. 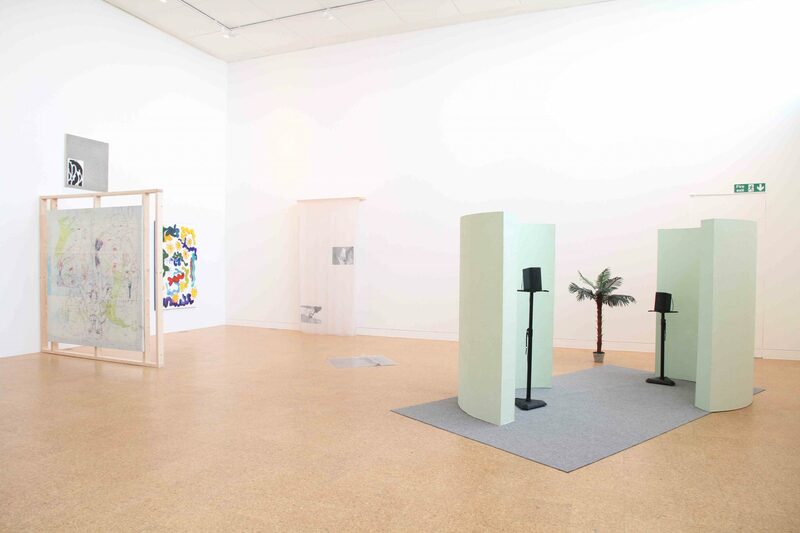 Katie Needham’s sound installation deals with her experience of growing up in Milton Keynes, questioning what it means to belong to a place that has failed to deliver its utopian promise. Oscar Yasamee’s paintings reference subcultures through the use of a cartoon-like visual language, to research how contemporary images take on meaning and myths. Maddalena Zadra makes symbolic paintings and prints that both tell and conceal stories, fairy tales, myths and personal experiences. The Platform Graduate Award is an initiative run by CVAN South East to support emerging graduate artistic talent to further their practice following graduation. Flatland Projects, co-founded by Ben Urban and Billy Stanley, presents a programme of solo and group exhibitions based within a Victorian former bath house now occupied by Source BMX, Hastings. 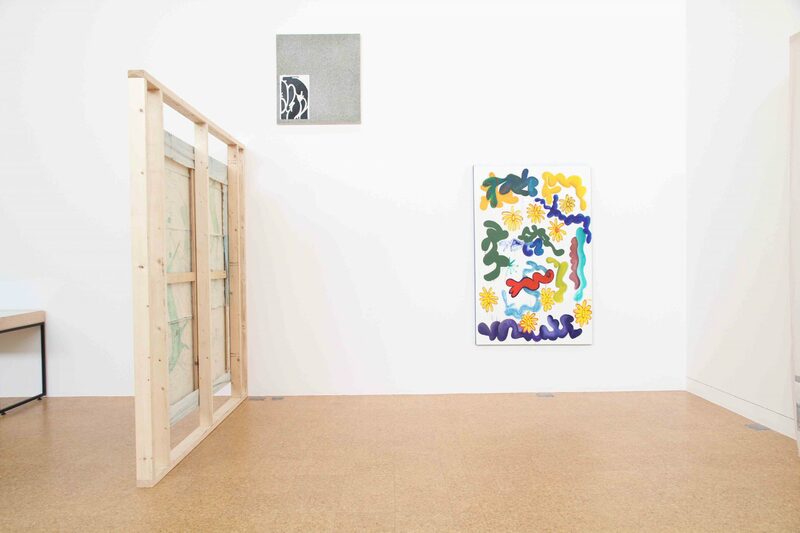 With collaboration a primary focus for each project, the gallery will be used to showcase emerging contemporary artist practices, and to engage with wider conversations around re-thinking sustainable models for artist-led space. 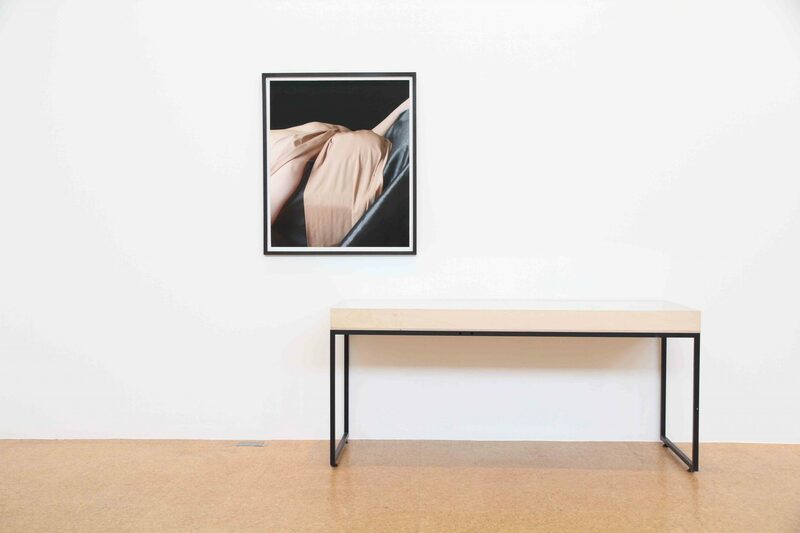 My practice explores vulnerability and the value of a photographic image considering both the angst of a still image and the uncanny elements surrounding photography. Considering both the reclining and fallen body my work references post-mortem photography, not to suggest death, but as a process in which to position the body and instill a comfortable anxiety. Working digitally, I use material and colour to suggest wellness, which is then contradicted by the unnerving subject. Works John and A Heap of Raw Material explore this manipulation and use of material. Milton Keynes, my place of birth, feels as strange asit does familiar. Through collaged filmic material my conflicted relationship with the city interrogates what it is to belong to a place, whether that place is imagined or physically real. Focusing on its promise for a ‘better life for the ordinary working person’ and its failed utopian visions, my work plays on the artificiality of nostalgia and idealism. The viewer should feel as if they’ve stumbled upon a place and time that feels familiar, yet remains detached and disjointed from their reality. Like they’ve just turned off the M1 at Junction 14. The figurative narrative of my work should make you float around a simple variety of symbols that spread, hiding and revealing stories in turn. A journey is revealed through images and visual metaphors that build upon the literary, including fairy tales, myth and personal experience. The surface is handled in a pure and sensitive way that starts a dialogue between the material surface and related mark making. From this, combinations of colour, line and shape form unusual harmonies in the paintings. My research looks into image production and discourse, recently examining cartoon based images from popular cartoons that I feel are rhetorical to practices in painting today. By connecting contemporary and traditional means of painting within the same space I aim for my images to create a discourse about functions within contemporary painting. Aiming to articulate the haptics of space, I generate encounters between audience and material. The crafted object holds no definitive, prescribed form. Instead, the relationship between materiality, space and audience – and questioning the defined and undefined – are integral to my practice. Although not architecturally determined, my sculptures are sensitive to location. Each material component enhances and highlights the overall sculpture and residing space. There is a metamorphosis of frame, revealing a connection of the work within space. Removing the possibility of a single, static viewer, encourages the audience commit to a higher means of viewing: to look rather than spectate.